Michael McQueeney - THE MASSACRE AT LE PARADIS - HELL IN PARADISE - MAY, 1940. 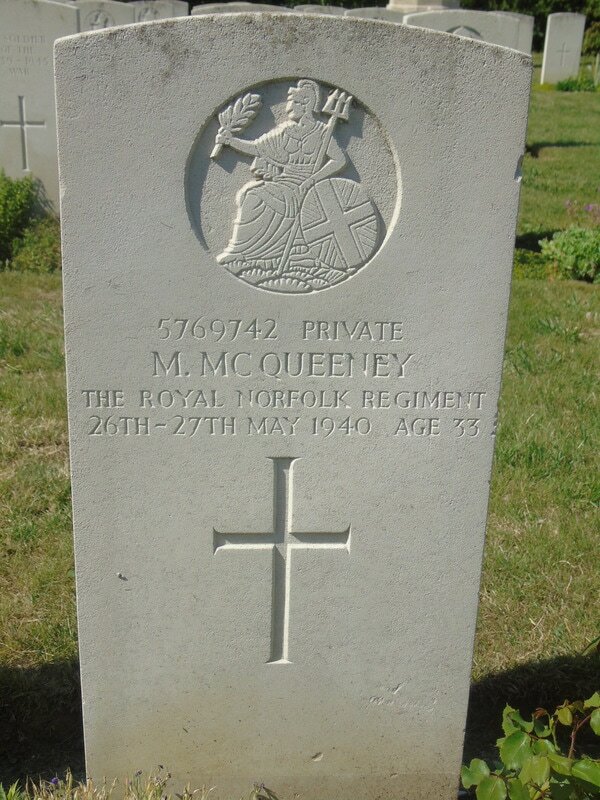 Private 5769742 Michael McQueeney. Died May 26/27th aged 33.